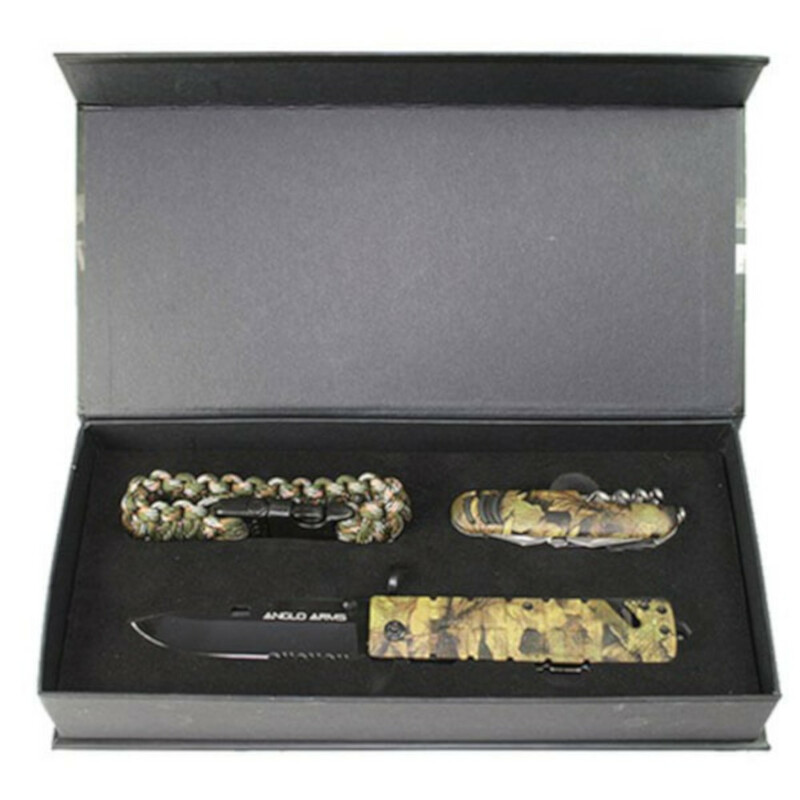 The Anglo Arms Amazon Lock Knife Set is a very collectible 3 piece lock knife set containing two fabulous knives and a paracord wristband. 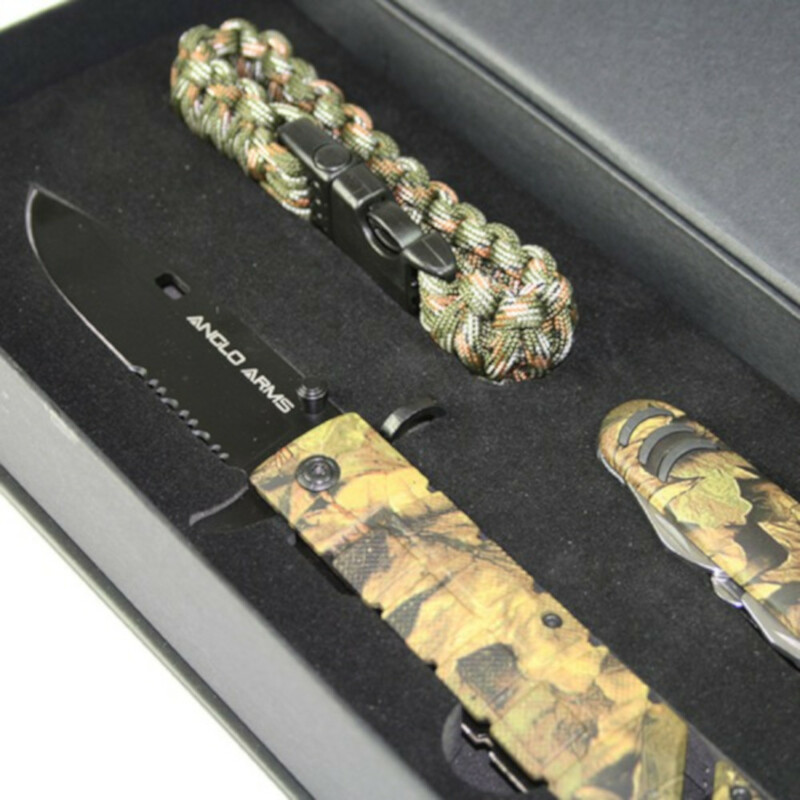 A great looking locking knife that has been designed with a number of additional functions in mind, a glass breaker, belt cutter and bayonet style finger guard all of which have been built into the handle to provide maximum functionality. 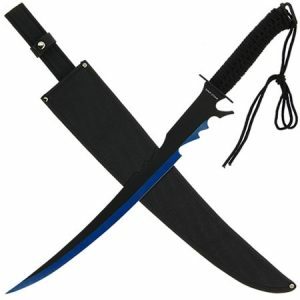 The knife has an 84 mm long lock blade constructed using 440-grade stainless steel with a protective black coating. 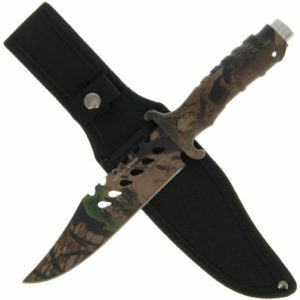 The 11 mm v-grind has a serrated cutting edge that is ideal for cutting branches and rope. 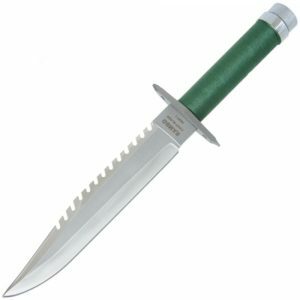 A single thumb stud aids opening and an essential feature for cold and wet hands. 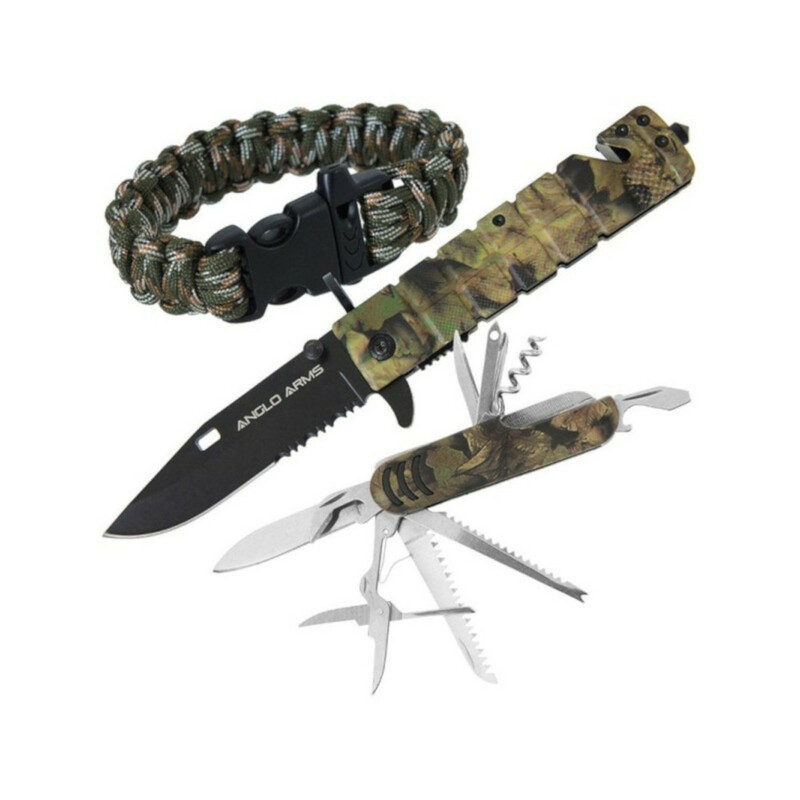 A must have travel companion, the Anglo Arms camouflage multi-tool pen knife contains eleven essential tools to make outdoor excursions easier: Large Blade, Wood Saw, Hook Disgorger, Fish Scaler, Scissors, Can Opener, Bottle Opener, Flat Head & Phillips Screwdriver, Nail File, Awl and Corkscrew.